Our small room for the single traveler. And small means about 12m2 (without bathroom! ), so don’t expect a deluxe suite. 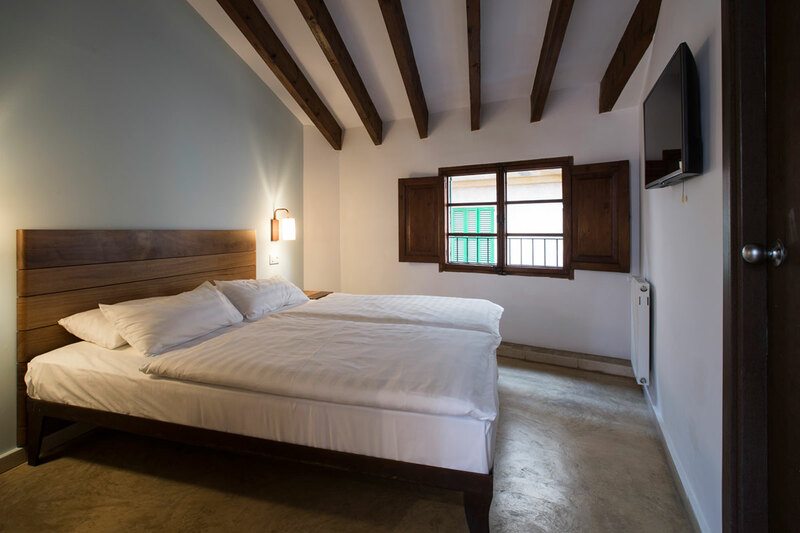 But: You sleep on a comfortable mattress, with crisp linen, surrounded by natural materials and soft colours. 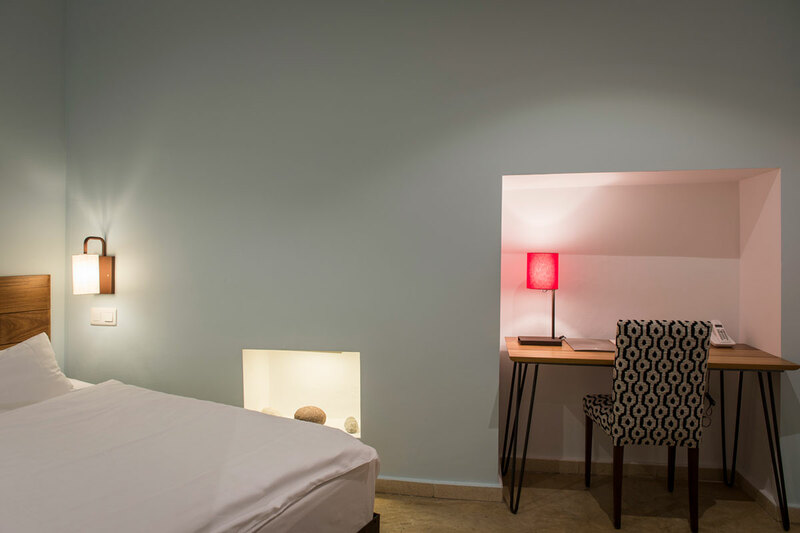 And we provide you with everything you need: Free Wi-Fi, air conditioning/heating, a quality hand-held hairdryer in your bathroom, SAT TV (with a small selection of international channels), minibar and a desk – if you have to get serious and work. Of course, including our awesome breakfast buffet. 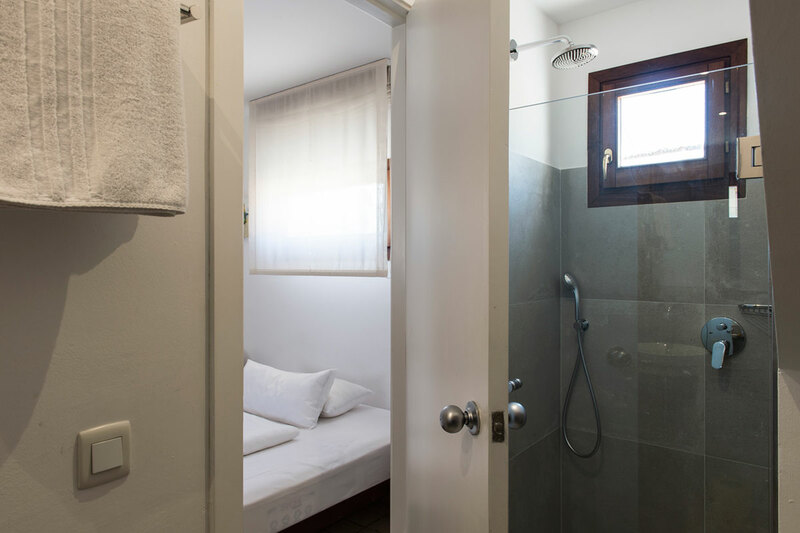 Our small double room, perfect if you are on a short stay or budget break. You got cozy 14 m2, (not counting the bathroom! ), just enough if you spend your days outside, anyway. 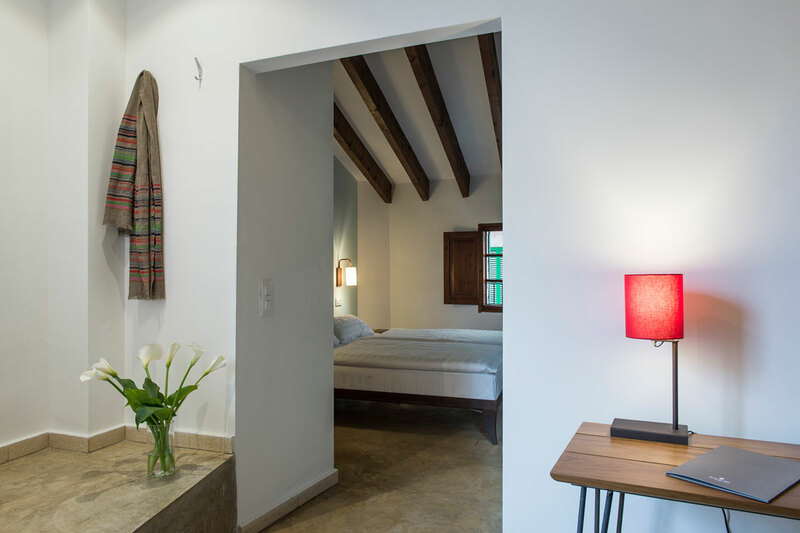 You sleep on a comfortable mattress, with crisp linen, surrounded by natural materials and soft colours. 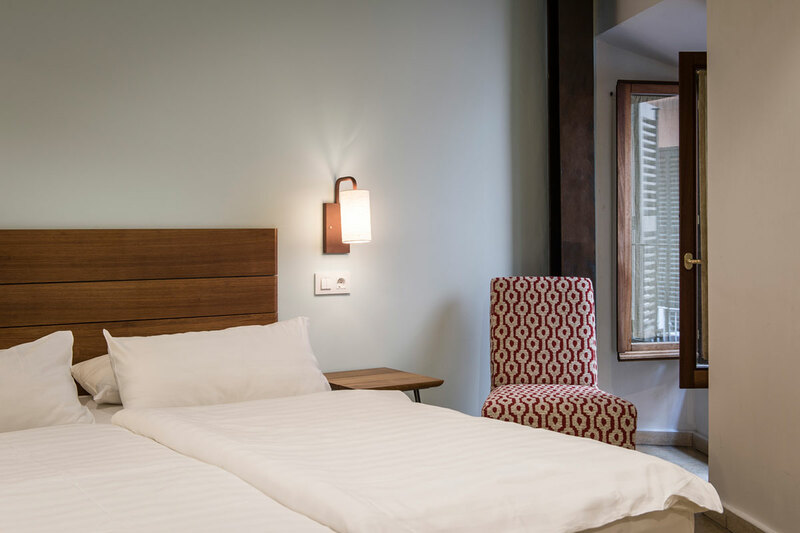 We provide you with everything you need: Free Wi-Fi, air conditioning/heating, a quality hand-held hairdryer in your bathroom, SAT TV (with a small selection of international channels), minibar and a desk – where you can plan your routes through the city. 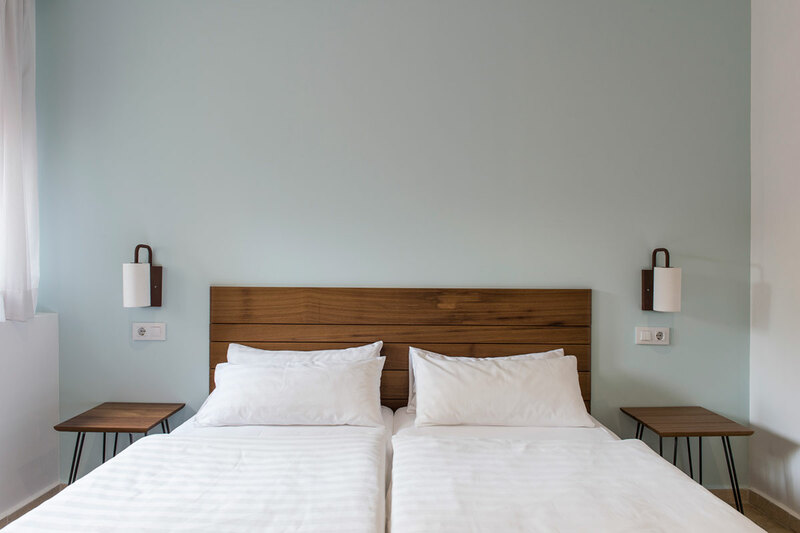 Our larger double room, perfect if you need a little bit of space for thinking, dreaming or just for spreading yourself out. We talk here of about 16 m2 (not counting the bathroom!). 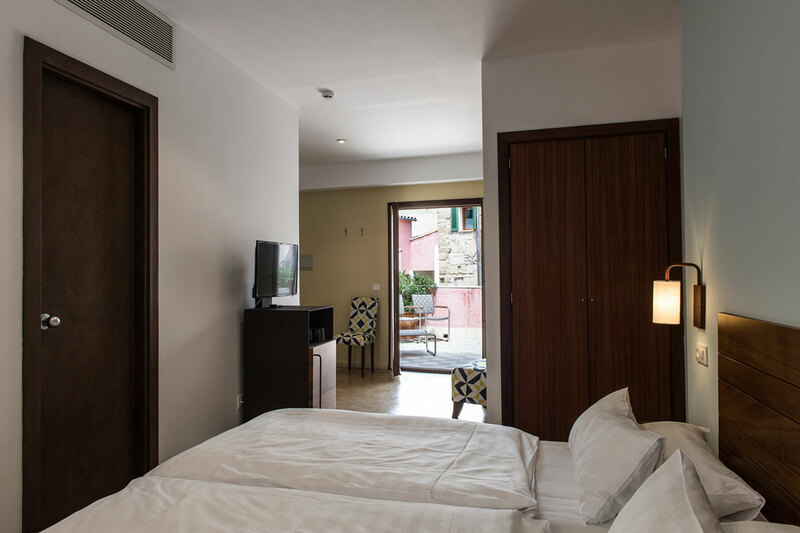 You sleep on a comfortable mattress, with crisp linen, surrounded by natural materials and soft colours. 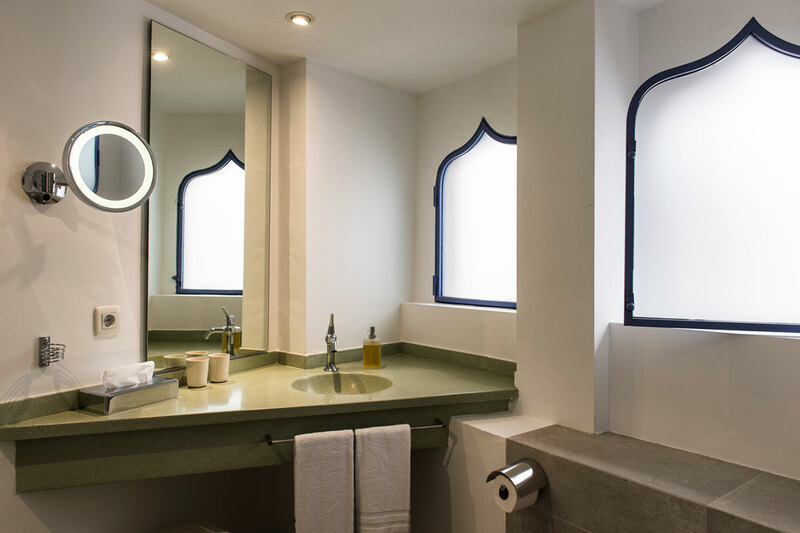 We provide you with everything you need: Free Wi-Fi, air conditioning/heating, a quality hand-held hairdryer in your bathroom, SAT TV (with a small selection of international channels), minibar and a desk – for some educated thinking or scribbling in your travel journal. You are special and deserve this! Our extra large double room with lots of space. Unwind on generous 22 m2 (not counting the bathroom!). 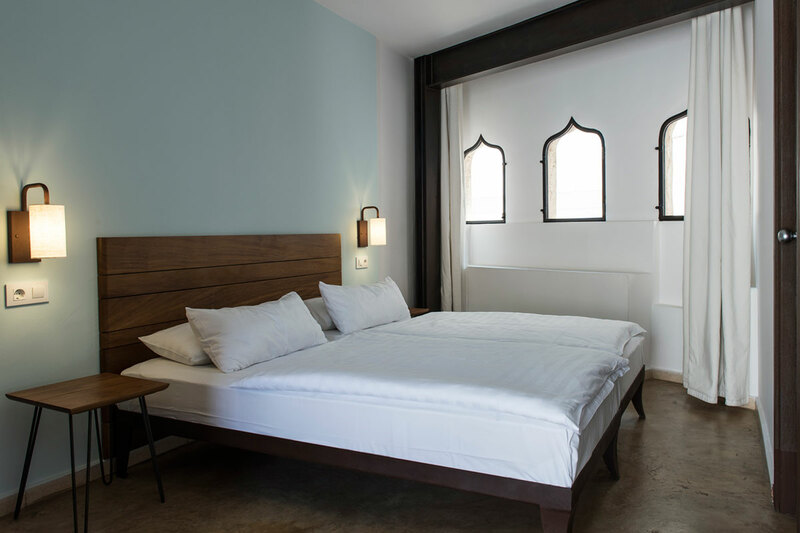 You sleep on a comfortable mattress, with crisp linen, surrounded by natural materials and soft colours. 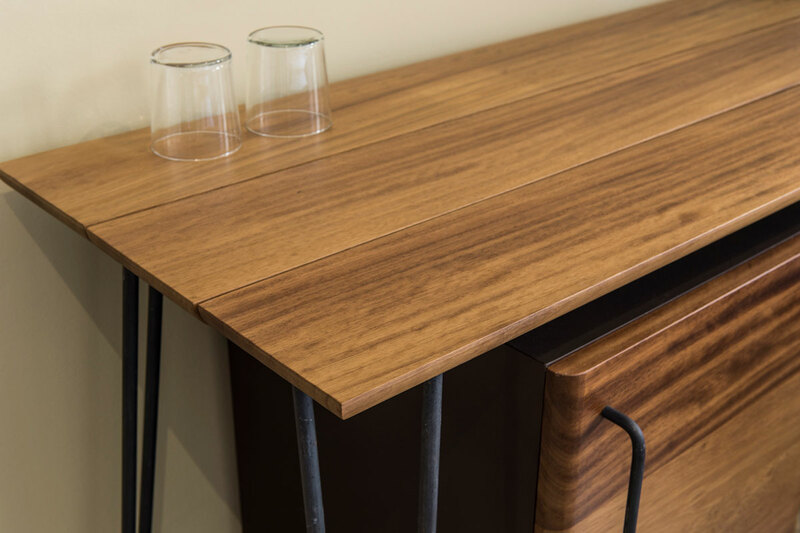 We provide you with everything you need: Free Wi-Fi, air conditioning/heating, a quality hand-held hairdryer in your bathroom, SAT TV (with a small selection of international channels), minibar and a desk – for working, thinking or scribbling. 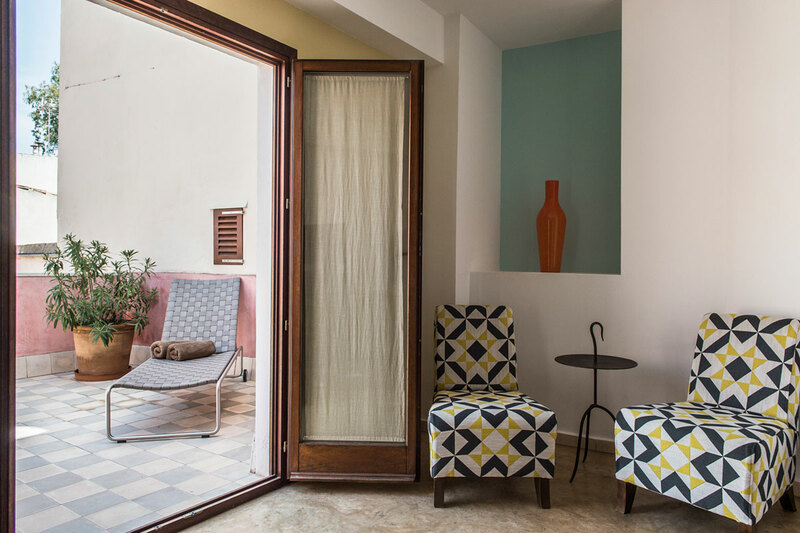 Let yourself go in our extra large double room and your own private terrace. Relax, have a drink and enjoy the Mediterranean breeze on the outside zone. 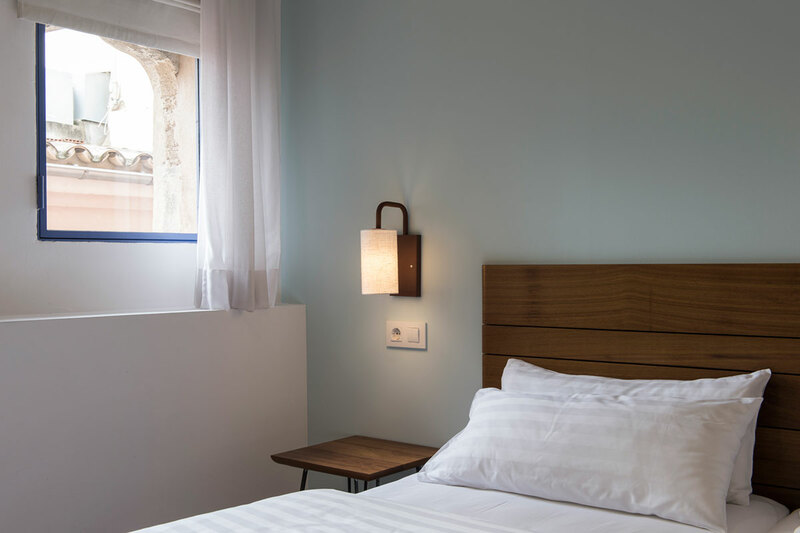 Inside: Sleep on a comfortable mattress, with crisp linen, surrounded by natural materials and soft colours. 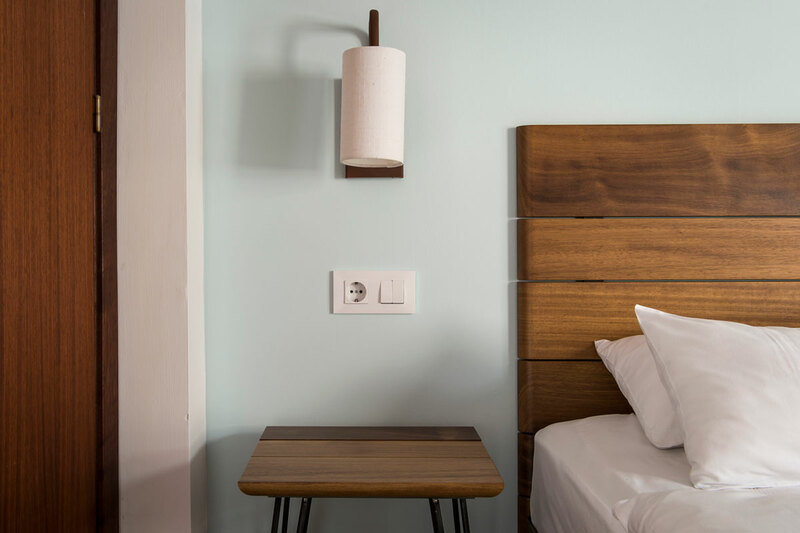 We provide you with everything you need: Free Wi-Fi, air conditioning/heating, a quality hand-held hairdryer in your bathroom, SAT TV (with a small selection of international channels), minibar and a desk (where you can plan your routes through the city, work or write in your diary). S, M, L, XL rooms? What’s that? How large are your beds? We need an extra bed in our room! I want a spectacular view! I changed my mind and would like to cancel my room. 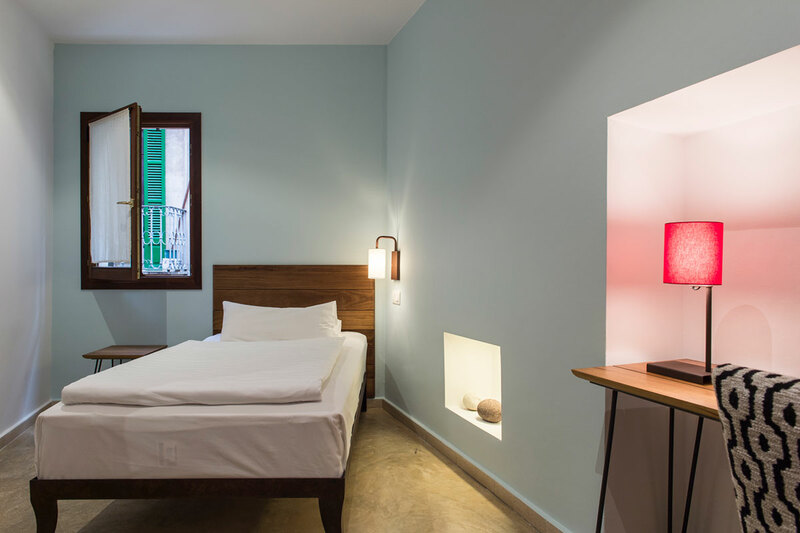 Some have called our rooms “Spanish Spartan”, others talk about minimalism. 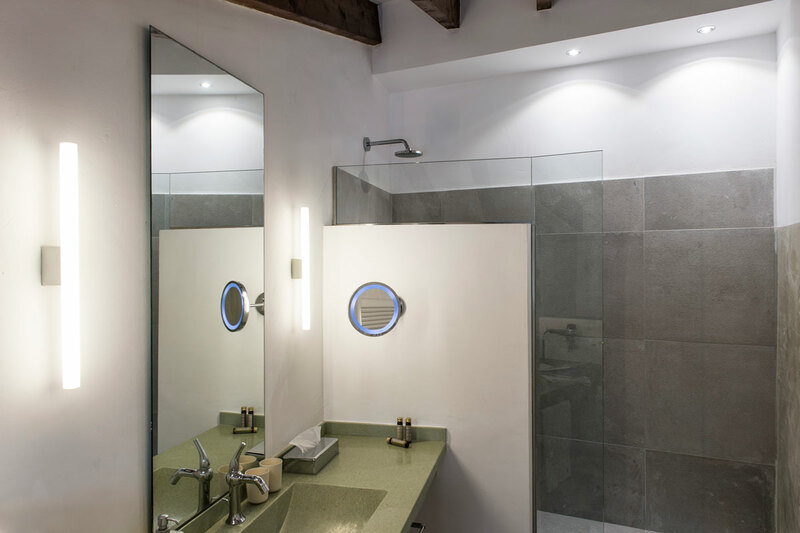 We wanted to achieve a cool, calm and collected feel to our rooms. A bit timeless, maybe. We believe cool does not mean cold. 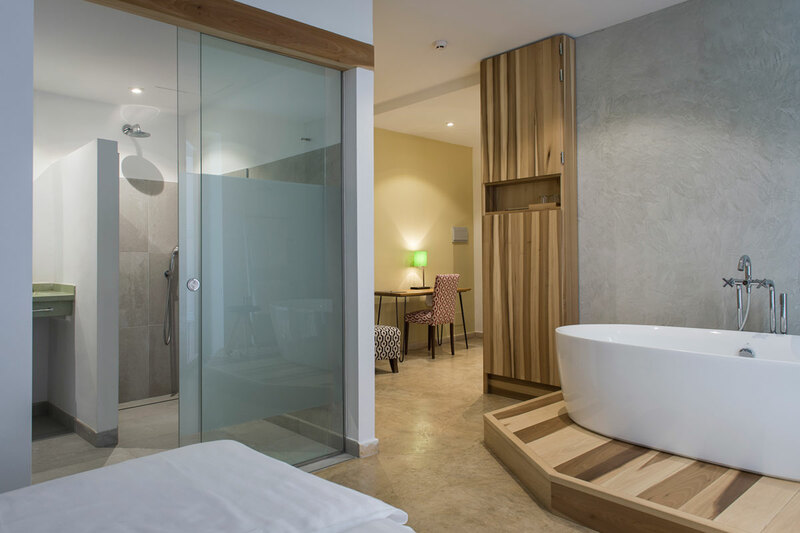 A no-fuss, quietly stylish environment where you will be able to unwind and make the most of your time on the island. The difference between room categories is mainly due to size and distribution – all are decorated and furnished in the same way. Our L category would be our standard double room. 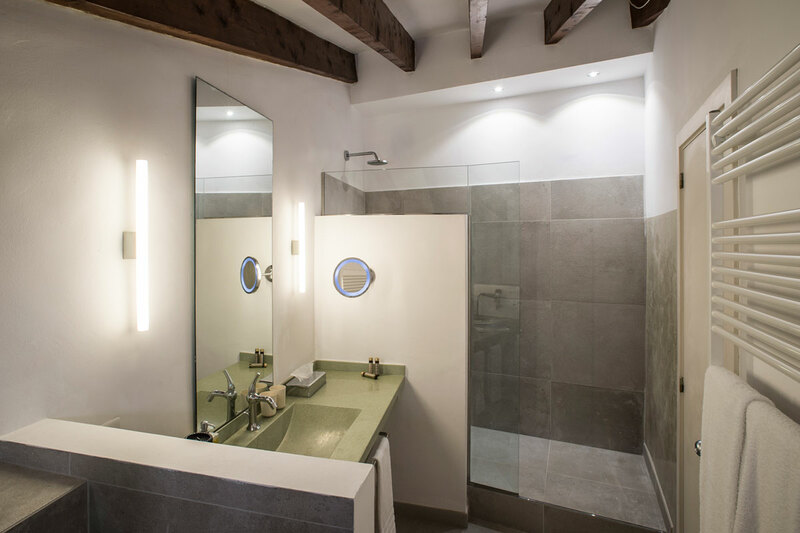 Yet, all rooms – also within the same category – are shaped differently, as we are situated in a very old, but renovated, building. 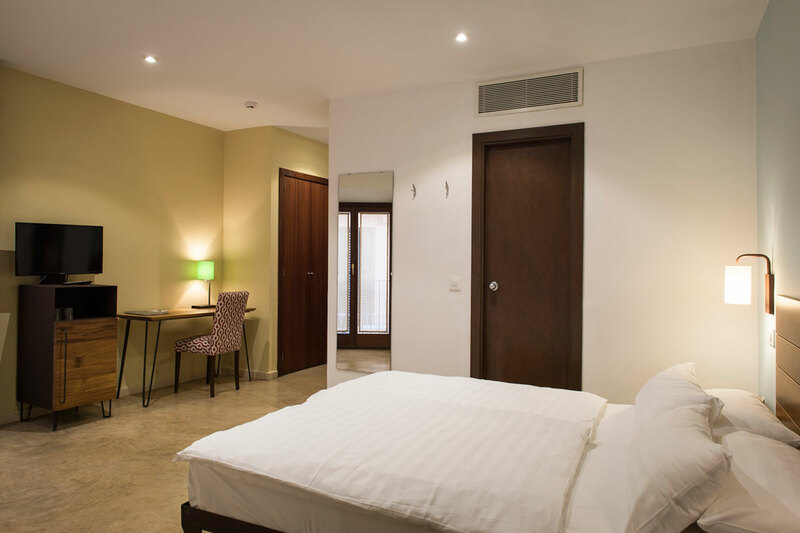 We have 8 twin rooms, and 7 double rooms. Our twin beds are usually stuck together, but can be put apart on request. 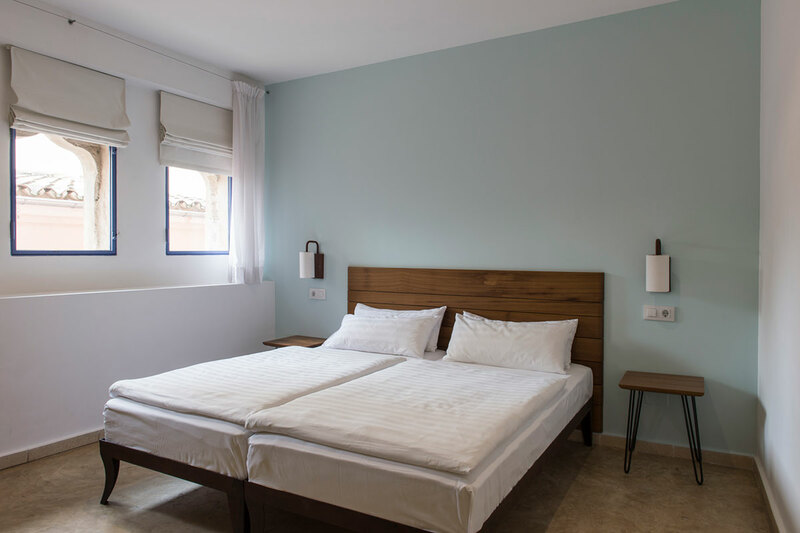 When we confirm a reservation for a double room, we will give you a twin or a double room, depending on availability, unless you request a specific room type at the time of the booking. We always make every effort to honour your requests. All our beds are 2m long. The double beds are 160cm wide. 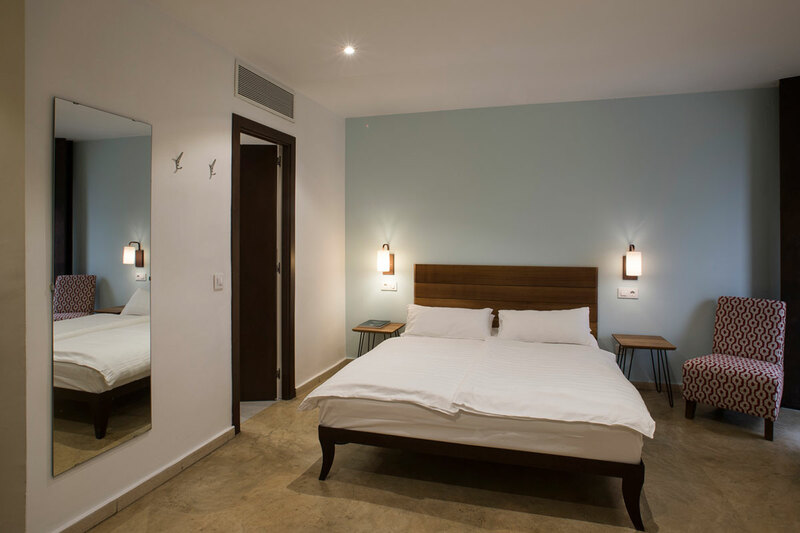 The twin rooms have two 90cm-wide beds – they are usually fixed together, but can be parted on request. 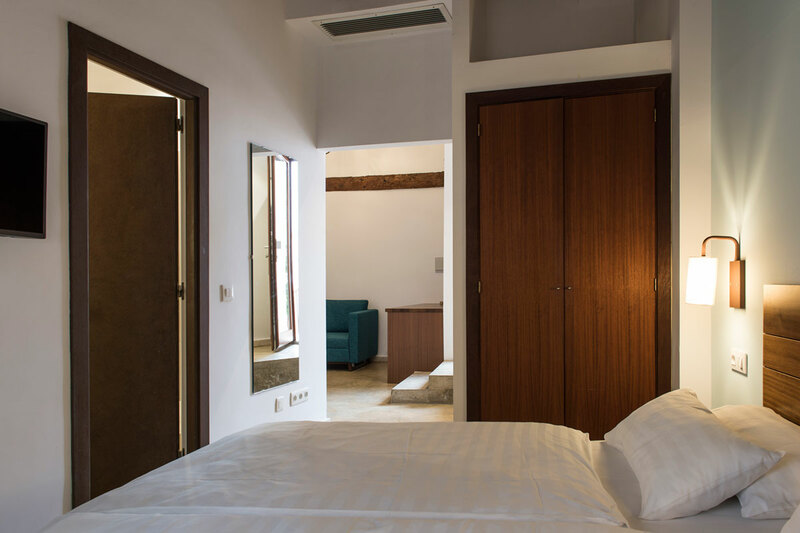 Two of the single rooms have a 140cm-wide bed, while the others have 110cm-wide beds. 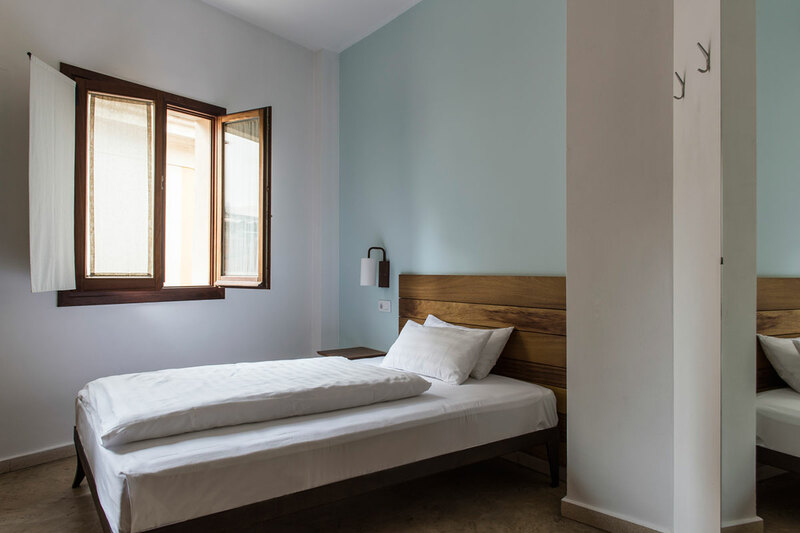 We have extra beds available – they only fit in some of the L or XL rooms. (Please consider not more than 1 additional bed per room.) For the additional bed there would be an extra cost of 50.- Euros, of course our buffet breakfast included. 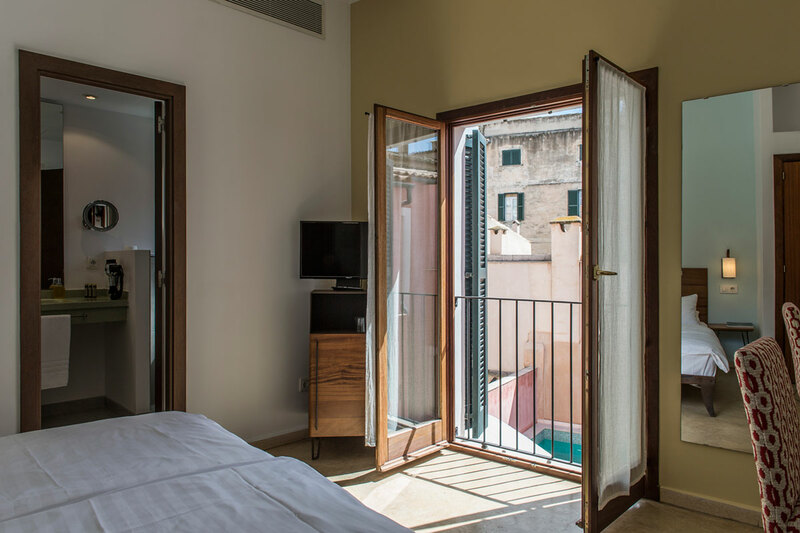 Being located in the old quarter of Palma (winding and narrow streets), and as our building has only two floors, we’re sorry, but we do not have rooms with views. 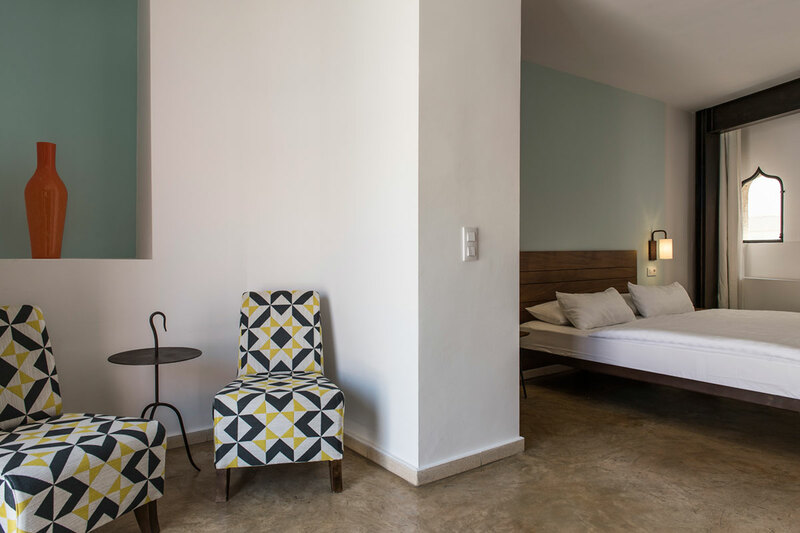 An alternative would be one of our XL rooms, which are located next to our pool area, with direct access through our courtyard instead of the common corridors. We also have an XL room with a private terrace overlooking this pool area. Only exception: You booked a non refundable rate. In this case, the total amount has already been debited to your credit card and is –well- not refundable. Rates per room and night including our buffet breakfast and 10% VAT. Extra beds and baby cots available upon request. Feel free to email us at info@palausafont.com or give us a call at +34 971 712 277.